Homes starting from the upper $300’s! This rare offering just outside of Raleigh in Knightdale features private wooded home sites with lots ranging in size from .9 acres to 3.3 acres! 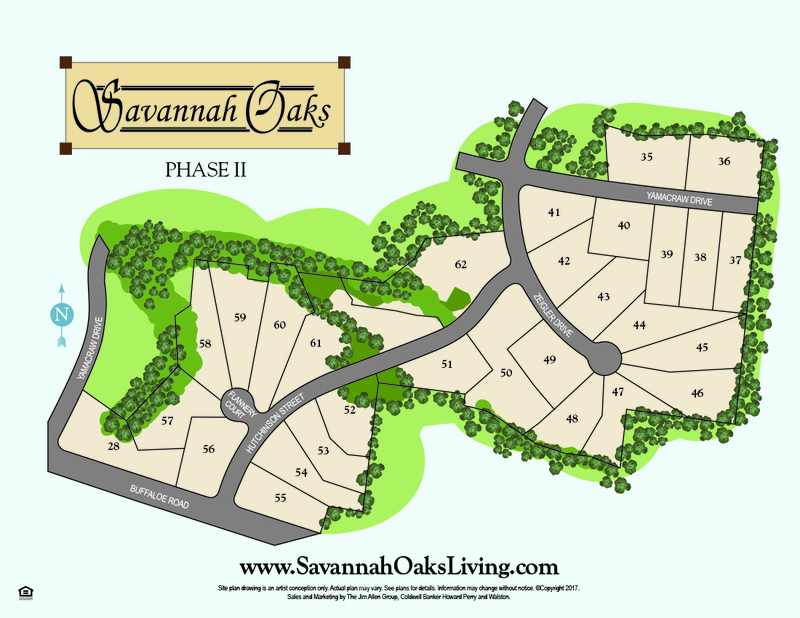 Located just off Buffaloe Road, Savannah Oaks is convenient to I-540, and approximately 10 minutes from downtown Raleigh! From RTP / Durham: Take I-540 to Exit 20 (Buffaloe Road) and turn left off the ramp on Buffaloe Road. Go 3.4 miles and turn left on Yamacraw Dr. into Savannah Oaks. From I-440 Beltline / Raleigh: Take I-440 to US-64 Business East toward Knightdale. Go 3 miles and turn left onto Old Milburnie Rd. Go 4 miles and turn right onto Buffaloe Rd. Go 2 miles and turn left on Yamacraw Dr. into Savannah Oaks.